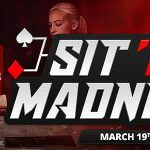 PokerStars is celebrating the sixth anniversary the Sunday Storm by hosting a special version of the popular event with a $1,000,000 guaranteed prize pool. 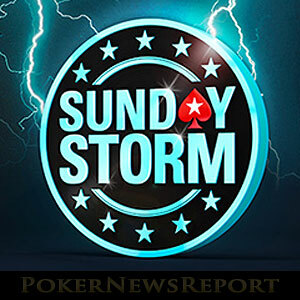 The Sunday Storm is one of PokerStars´ most popular tournaments. 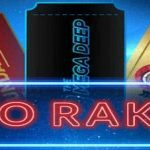 Each week between 25,000 and 30,000 players pony up the $11.00 buy-in in an attempt to get their hands on some of the $275,000 guaranteed prize money. Typically, around 4,500 players succeed. Despite the number of entries and the 10,000 chip starting stack, the Sunday Storm is fast. Antes are in play from the first level and blinds increase every ten minutes. 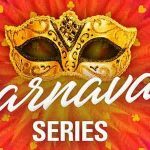 Usually the tournament is over within twelve hours, with one lucky winner adding somewhere near $30,000 to their bankroll. However, on Sunday March 19, one player is going to walk away with $100,000 for their $11.00 buy-in. 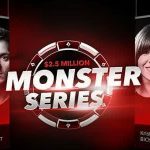 That´s the promise being made by PokerStars for the tournament´s sixth anniversary event – an event that is sure to be more popular than ever due to its $1,000,000 guaranteed prize pool. The Sunday Storm gets underway at 1:00pm ET (6:00pm GMT) each week with late registration open for 2½ hours (fifteen levels). By the end of late registration, the blinds have increased to 600/1,200 (ante 120) so there is no hiding place for players with the intention of playing tight. For the sixth anniversary Sunday Storm event, there will be even more chips on the table than normal. PokerStars is allowing players to re-enter up to three times during the late registration period, which implies it is going to be a seriously aggressive episode of the tournament. Despite the prize pool being more than three times its normal size, it is not guaranteed that the Sunday Storm will attract three times as many players. Therefore there should be a considerable amount of overlay available for players who cash in the event. The 10:00am ET (3:00pm GMT) mega-satellite on Sunday March 19 guarantees 500 seats into the target event. Late registration is open for 1 hour and 45 minutes, during which time two re-entries are allowed. The 12:15pm ET (5:15pm GMT) turbo mega-satellite guarantees 250 seats into the sixth anniversary Sunday Storm. Due to its shorter levels, late registration is available for 35 minutes. There is no opportunity to re-enter. The 1:02pm ET (6:02pm GMT) “Last Chance” 250 seat hyper-turbo mega-satellite gets underway after the target event has started, but it should be over before the late registration period for the Sunday Storm closes due to its three minute levels and sharp jumps in blinds. Fancy Winning a Share of $1,000,000? If you fancy flexing your poker-playing skills in what is likely to be a very aggressive event, head on over to PokerStars now and book your seat in the sixth anniversary Sunday Storm event. Although we do not expect the 175,000 limit on the maximum number of players to be in danger, you would not want to miss this opportunity to win a life-changing amount. If you have not already made a real-money deposit at the site, be sure to fund your account using the PokerStars bonus code PSA225 in order to be eligible for a 100% match bonus on your first three deposits over the next ninety days (up to a maximum bonus amount of £400/€500/$600). At least that way, if you fail to cash in the sixth anniversary Sunday Storm event, you will be able to get your hands on some free poker money at PokerStars.